A short post for World IP Day, now nearly over. In part of the run-up to the Star Athletica argument, I had a chance to look at the amicus brief the Copyright Office filed with the Supreme Court in Mazer v. Stein some 64 years earlier (and not the Solicitor General – although they are among the names listed on the brief, the Copyright Office is the only office identified on the cover page, and the final signature block before the appendices). In a brief filed in Mazer the Copyright Office went above and beyond the usual contours of the amicus brief form, offering a detailed history of office registration practice for works of design. The body of the brief identifies the history of the regulations, and the Appendix B is a partial reprinting of relevant listings in the Catalog of Copyright Entries for 1912-1952. 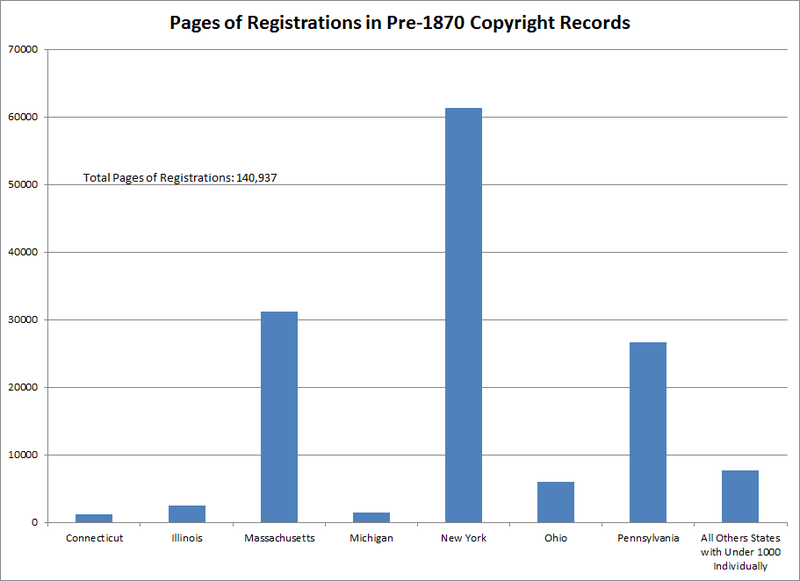 Perhaps most interestingly, Appendix C of the brief comprises photostatic reproductions of the registrations filed for works of design from before 1909. The amicus brief has long been available through Gale’s database of Supreme Court Records and Briefs, sourced from the microfilm, but the conversion to black and white rendered the final exhibit essentially illegible. Accordingly, I’ve uploaded a scan of the US Copyright Office’s original copy of the amicus brief, which they were good enough to allow me to photograph after their wonderful program in honor of today. Here it is. Enjoy, and a happy World IP Day.